10% DISCOUNT FOR ALL GROUP BOOKINGS OF +5PEOPLE. ALL EQUIPMENT IS PROVIDED IN THE PRICE BELOW. We will give you the skills you need to paddle, catch and surf your first wave. 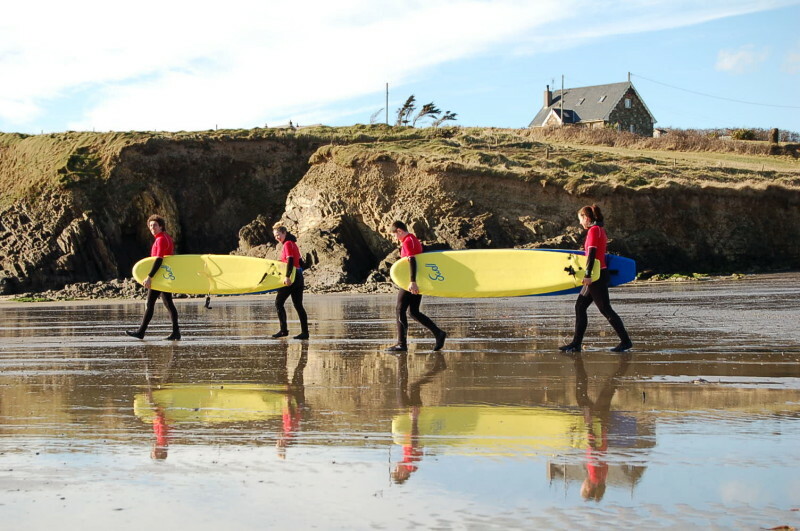 The lesson includes water safety instruction, surf theory and the practical surf skills lesson on the beach before you hit the waves. 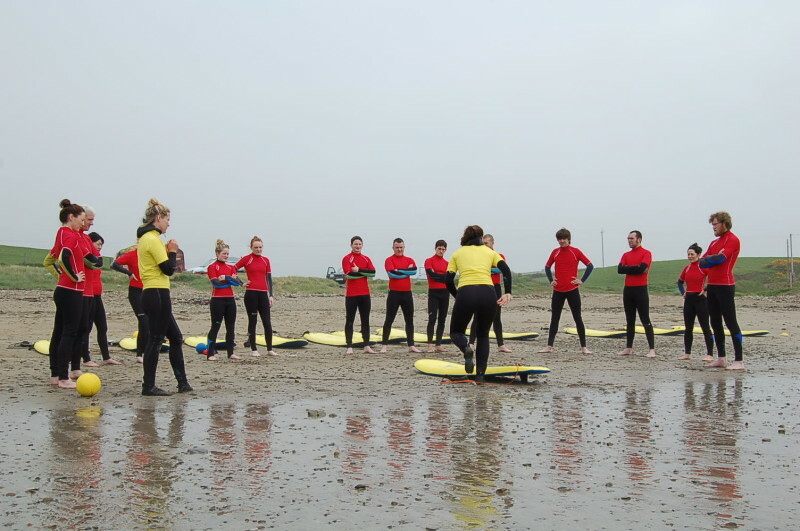 Our instructors focus is on safety and fun in the water to ensure you get the maximum from your surfing experience. Coasteering is an action packed, adrenaline pumping adventure activity that takes place around the rocky coastline. It is a combination of adventure swimming, exploring gullies and caves using the movement of the swell and traversing the lower level rocks to jumping sites. Jumps range from 1 – 5 meters in height. Bring your office to life by ditching your desks for an ocean backdrop. Forget about hiding indoors, now is your time to rebel against the downpours by joining us on the beach for a day. 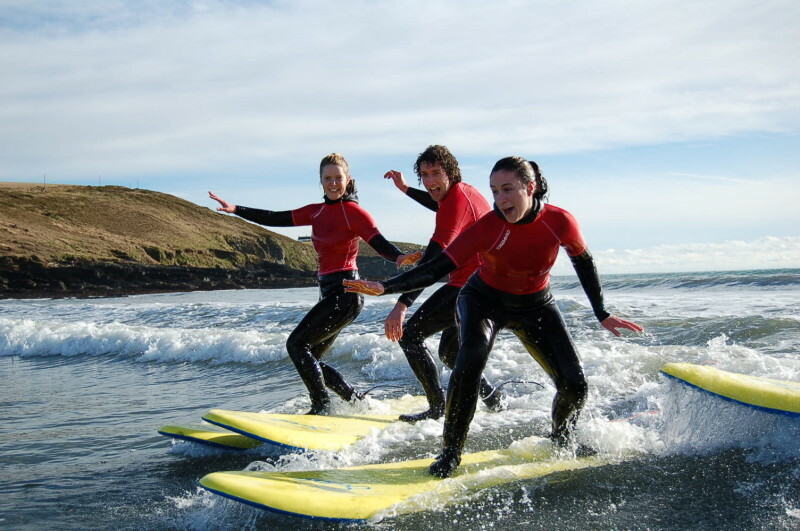 Your group will learn to surf, along with choosing other activities from surf themed challenges to retro beach games or even try ‘Coasteering’ one of the newest watersport to hit the Irish coast. Just contact us and we’ll help you choose a package to suit your group.